Lots of sunshine. High 83F. Winds WSW at 10 to 15 mph..
Thunderstorms early, then variable clouds overnight with still a chance of showers. Low 57F. Winds W at 5 to 10 mph. Chance of rain 80%. Logan Darnell/Coal Valley News - Cassie Keith plays girls' No. 1 singles for Sherman versus Scott last week. 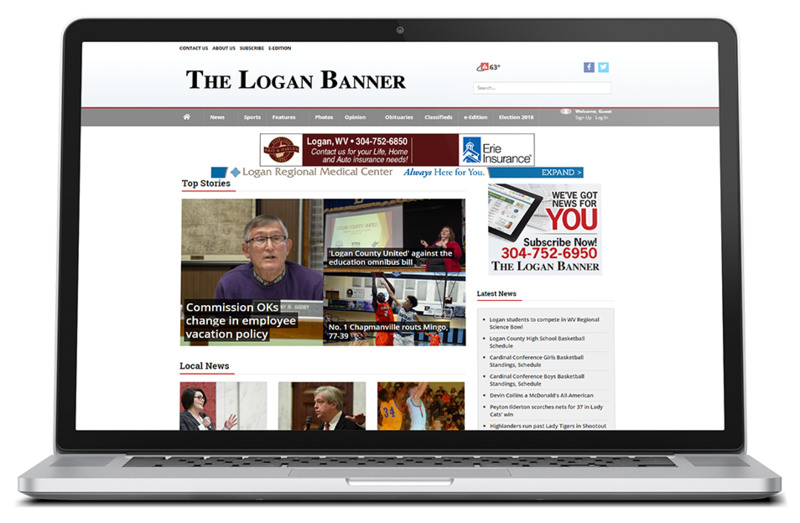 Logan Darnell/Coal Valley News - Evan Constant plays boys' No. 2 singles for Scott versus Sherman last week. 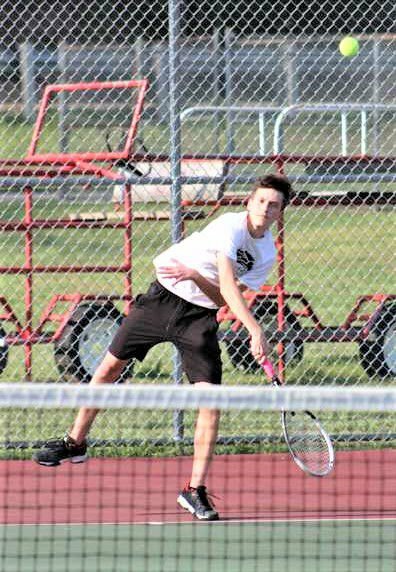 BOONE COUNTY - The Scott High and Sherman High tennis teams each have each enjoyed success with players both old and new. Forfeits included, Sherman triumphed in the meet, with the boys winning 5-2 and the girls winning 4-3. Boys' first seed, Scott sophomore Evan Constant, defeated Tide senior Joel DeMersman 8-1. Sherman's No. 2 singles, junior Jacob Massey, beat Scott sophomore Dylan Hicks 8-0. No. 3 junior Bryce Keith and No. 4 freshman Isaac Mortimer were unopposed, and won their matches via forfeit to take the rest of the singles matches for Sherman. In boys' doubles, Sherman's No. 1 seed were rested to give No. 2 seed's Keith and Mortimer the chance to play. They narrowly lost to Constant and Hicks, 8-6. Sherman took No. 2 and No. 3 doubles by forfeit. Sherman's No. 1 seeded girls' singles player, junior Cassie Keith, won her match over junior Makaila West 8-0. Scott senior Amelia Setser beat junior Abby Bolton 9-8 to take singles No. 2. Senior Katelyn Miller won No. 3 singles 8-4 over senior Kristen Cochran. In seed No. 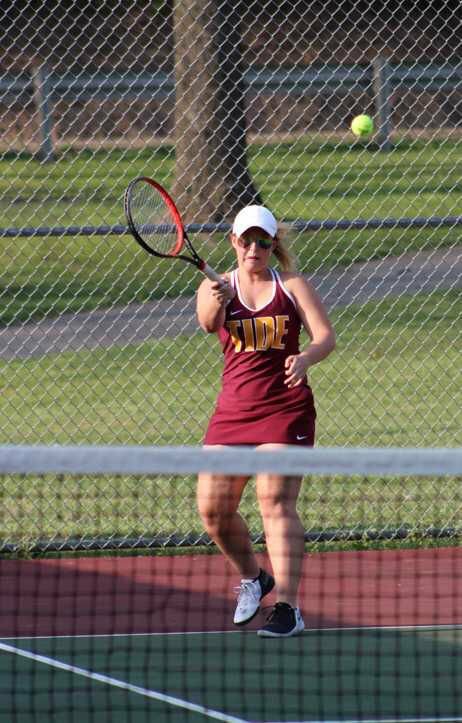 4, Tide junior Kaylea Whitehead beat sophomore Kassidie Eplin 8-2 to split girls' singles between each team. Makaila West was unavailable to play in girls' No.1 doubles, so Keith and Whitehead won the match by forfeit for Sherman. Amelia Setser and Katelyn Miller worked together to win No. 2 singles over Bolton and Cochran 8-4. Sherman won doubles No. 3, with senior Kayla Hartsell and sophomore Madison Lambert beating Eplin and sophomore Elisabeth Gay 8-2. For Scott, Setser and Miller continue to win their games, with the two seniors representing Scott well in the No. 2 seed. Constant did well to win his singles match, the top-seeded of the two boys on Team Skyhawks working hard to improve his play. Cassie Keith represents the Tide at the No. 1 singles and doubles spots, showing why she is the most dominant of the girls team at Sherman. Though he was unfortunately unable to play a singles match, Mortimer has been lauded by Sherman assistant coach Bryan Keith for his rise to the No. 4 seed out of the seven boys on the team. Scott hosts Saint Joseph Central at 4:30 p.m. on April 22. Sherman hosts Poca at 4:30 p.m. on April 24.